DECATUR -- Floyd Thomas Stewart, Jr. went to be with the Lord on July 13, 2018 at his home. Services will be 11 am Saturday, July 21, 2018 at House of Miracles, 441 N. Church St. Visitation will be one hour prior to service and on Friday, July 20, 2018 from 5-7 pm at Moran and Goebel Funeral Home, 2801 N. Monroe. Burial will be at Macon County Memorial Park in Harristown, IL. Floyd was born January 8, 1968 to the union of Anna and Floyd Stewart, Sr. in Brownsville, TN. Floyd gained an education through the Decatur Public School system, graduating from Eisenhower High School in 1986. After graduation, Floyd joined the military where he served four years and received an honorary discharge. He was also in the National Guard for two years. Floyd attended Richland Community College where he received an Associates Degree in Social Services. He furthered his education, attending the University of Illinois at Springfield where he earned a Bachelors and Masters Degree in Sociology and Anthropology. He was an avid Tennessee Volunteers and Pittsburgh Steelers fan that loved to fish, cook, and spend time with his family. He leaves to cherish his mother, Anna Lee Stewart of Brownsville, TN; life partner, Sherrie Pearson; daughter Zyneshia “Zy” Stewart; granddaughter whom he loved dearly Zoey Wilkes of Decatur; sisters Shanty Wilson (Fred), Krystal and Yolanda Stewart of Brownsville, Tanya (Tony) Deberry of Jackson, TN; brothers Jeffrey Stewart (Nicole) of Decatur, Reuben (Shelley) Stewart of Brownsville; eleven nieces, nine nephews, six great-nieces, four great-nephews, and host of cousins. Floyd was preceded in death by his son, Terrell Colbert; father Floyd Stewart, Sr.; maternal and paternal grandparents; four uncles and one aunt. The family of Floyd Stewart would like to thank the people of Moran & Goebel Funeral Home for their excellent service, care, and love in our time of need. Floyd was a special being that smile touched the hearts of everyone he met. We will all miss you. 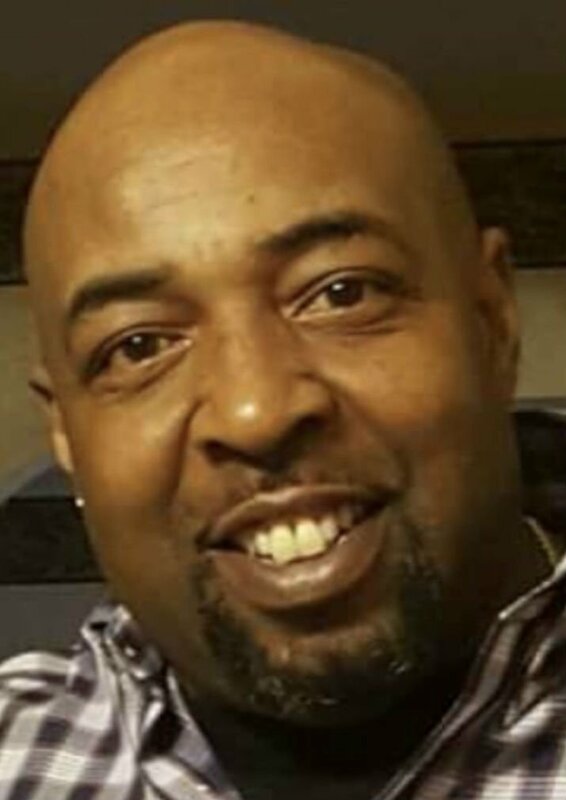 The family of Floyd Stewart is being served by Moran & Goebel Funeral Home, 2801 N. Monroe St. Decatur, IL. Please view the online obituary, send condolences, and share memories at www.moranandgoebel.com. the life of: Stewart, Floyd Thomas Jr.